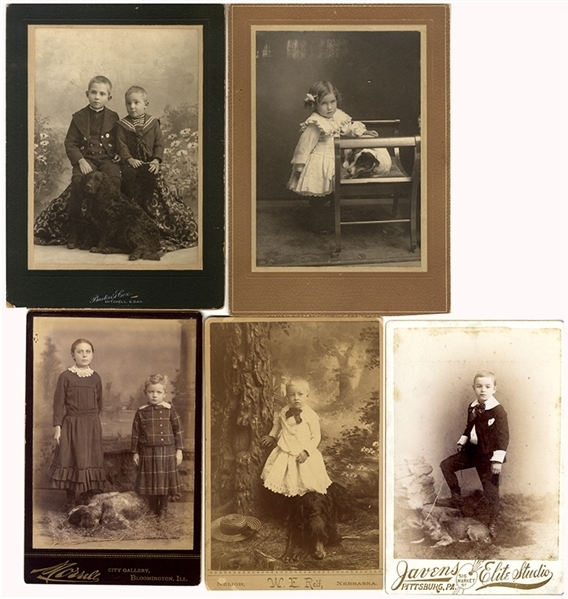 Group of five (5) cabinet card photographs of children posed with their canine companions. All c. 1870s-1880s. Fine condition.